If you ask several homeowners who makes the best cordless vacuums you will likely hear Dyson mentioned a lot. Their V8 comes in multiple configurations and has enough power to clean carpets in multiple rooms on a single charge. There is little doubt that it is more than capable when compared to larger and heavier corded vacuum cleaners. But what those same homeowners probably don’t know is there is a company called Tineco that has developed a full cordless lineup that is just as capable. 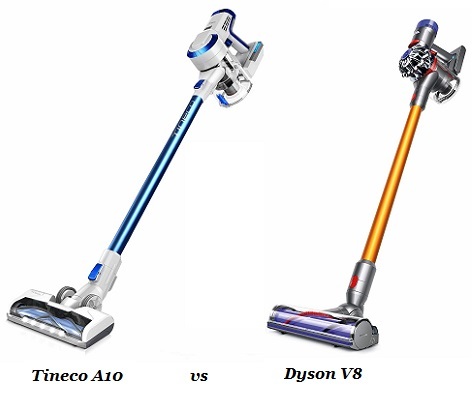 Can their affordable A10 match up to the popular Dyson V8? That is a question we will answer as we compare them side by side in a variety of categories, but first it’s important to mention how much the cord-free technology has improved in recent years. Lithium Ion batteries provide fade free power for a much longer time than their predecessors. You can usually get 30 minutes or more on a single charge which gives you enough time to clean an average sized home. Cordless vacuums used to be nothing more than powered brooms, useful only on smooth floors for crumbs and other small particles. That is no longer the case as the A10 and V8 can handle carpets just as well as hardwoods. The Tineco A10 is their most popular model for good reason. Even though they aren’t a household brand name yet when you look closely at the A10 you will find out that it provides tremendous value. Filtration is tremendous with a 4 stage design. Each stage works together to remove the smallest of allergens like dust mites and pet dander. A HEPA filter is the last line of defense, trapping anything that makes it that far. The end result is very clean air being pushed back into your home, a necessity for those who suffer from allergies or asthma. Other features include a powerful 110 watt motor, detachable lithium ion batteries, and a variety of attachments. The A10 comes in 2 different configurations: the Hero and Master. The biggest difference is the Master comes with dual removable batteries and two different LED power brushes. We’ll get more into the features as we compare it to the Dyson in the various categories below. 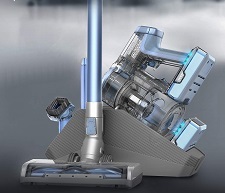 The Dyson V8 is without a doubt one of the most popular cordless vacuums you can buy today. It’s really the model that pushed the technology so much higher when compared to what you could buy just a few years before. It too comes with full HEPA filtration and a strong enough motor to handle carpeting, even medium to high pile. 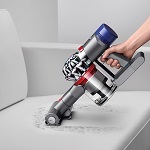 Dyson has always been known for extreme power and excellent filtration, both of which are on full display with the V8. The V8 is available in 2 different models: the Absolute and Animal. The Animal is designed for homes with one or more pets, especially those with carpets. It has a variety of attachments that work great on pet hair. The Absolute has all of that plus a specially designed soft roller. This roller is built with nylon and anti-static carbon fiber to attract fine dust on smooth floors. It is the model of choice for homes with a variety of floor types. Now that we have given a brief overview of each of the contenders let’s start comparing them in the most important categories. From looking at the picture at the top of the page it’s easy to see how close they are in appearance. Both cord-free vacuums have a relatively slim design with a wide floor attachment. Both the A10 and V8 can be used in handheld mode which is a must for any cleaner in this category. Tineco and Dyson have outfitted each with enough tools for just about anything you need to clean around your home including bedding, furniture, and curtains. Since the V8 was developed before the A10 you can presume that Tineco took some styling cues from Dyson. Both vacuums are attractive, slender, and highly functional in all configurations. Suction Power – Can The A10 Hang With The Mighty V8? Suction power is not likely the first quality you would think about when you are comparing cordless vacuum cleaners. The reasoning is they have historically been used basically as a powered broom for quick dirt pickups but that has changed in recent years. The Tineco A10 and Dyson V8 both have strong electronic motors and advanced batteries to put down as much power (and sometimes more) and mid sized corded uprights. 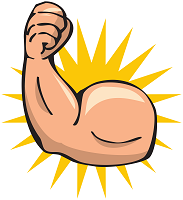 This means they have the power to deep clean carpeting which is a tremendous advantage. The Tineco is rated at 110 air watts of power on the maximum setting. With a single battery this will last about 7 minutes so you don’t want to run it on max for extended periods, mainly just for deep cleaning as needed. For standard use it will produce about 25 air watts which again, is more than adequate for most floors in your home. This is far and away better than cordless vacuums of just a few years ago. The Dyson V8 is slightly more powerful but really the difference is negligible. It is rated at about 115 air watts on the max power setting and on the lower setting you can expect about 28, which compares favorably to the Tineco. When you have more carpeting, especially with multiple pets, the extra power will come in handy. This is where Dyson has always shined and the V8 is no exception. It takes a slight win over the A10 here but the advantage is ever so slight. As every homeowner knows when researching any type of vacuum, high grade HEPA filtration is a must have. If you don’t have quality filters in a sealed system then the tiny dust particles can escape back into your home during use. Indoor allergens are a major cause of allergic reactions and asthma in people each year. Fortunately both the Tineco A10 and the Dyson V8 have HEPA filtration and are fully sealed to trap everything inside. The microscopic particles have no place to go except into the dust bin, and eventually into the garbage when you empty it. Cleaning the filter on the Dyson V8 is a pretty straightforward process. Since it is washable you simply remove it and run it under the faucet until it is clean. The process is easy but it does require you to leave it out to dry afterwards. The air drying process usually takes a day as you want to make sure the filter is completely dry before using the vacuum again. Just need to plan it out ahead of time. The A10 Master has a different (and innovative) way for you to clean the filters. Tineco includes a special tool to use that takes just about one minute to free the filter from any dirt or other debris. There is no water required and no long drying process, simply use the tool as instructed and you can be back vacuuming in a couple of minutes. While Dyson is usually the company known for thinking outside the box, Tineco really took this necessary process to a whole new level. Without a doubt the improvements in battery technology is the biggest reason cordless vacuums can now clean entire households with all floor types. Lithium ion batteries provide fade-free power for longer periods of time, powering those all new electronic motors just as good as an electric cord could. The Dyson V8 comes with a 6 cell battery pack that gives about 30 to 40 minutes of runtime on the lower power settings. The power remains constant until the battery is drained and this highlights our only complaint with it: the battery is not removable. So once it is drained you cannot vacuum any more until it’s charged. Here is where the Tineco A10 has the biggest advantage over the V8. It comes with removable batteries so you can charge one while still vacuuming with another in the machine. The Hero comes with one pack but you can upgrade to another if needed. Or just purchase the Master version as that comes stock with two lithium battery packs and a special charger that allows you to charge both at the same time. For those larger households a removable battery is really a necessity, so hopefully Dyson will address this at some point. For now though the Tineco is the clear winner in this category. Versatility is important for any lightweight stick vacuum and hand operating mode is definitely a big part of that. Cordless vacuums are free from the restrictions that their corded counterparts have. Since they don’t need to be near an electric outlet handheld mode is just a natural progression. Both the A10 and V8 can be used this way with a variety of attachments. You can quickly clean your bedding or furniture, or even reach high into corners to remove dusty cobwebs. Tineco and Dyson have many tools that come with it as well as additional ones you can purchase. For instance if you have pets then you can use their spinning brush attachment to pull embedded hair from any fabric. This mode is a huge advantage over larger corded upright vacuums that can only be operated in one way. These heavier models are not equipped for smaller, tighter spaces like the cordless A10 and V8. Now that we have compared these two popular models and looked over their highlights, it comes down which one is best for your home? From looking these categories over it’s obvious that they are very evenly matched. The Dyson is usually a little more expensive but the A10 Master is comparable in price. Dyson has a longer track record in the cleaning industry and are well known for power, filtration, and technology. Click here to read online reviews and check pricing at our recommended supplier. We are very high on Tineco as a brand and the A10 Hero and Master vacuums. They are every bit as good as the V8 and the fact that you have removable batteries is a big bonus. The A10 tends to be a little cheaper to purchase and their consumer reviews are mostly positive online. We give it a high rating and recommend it for any household looking for cordless cleaning at an affordable price. Click here to learn more about it and compare prices.